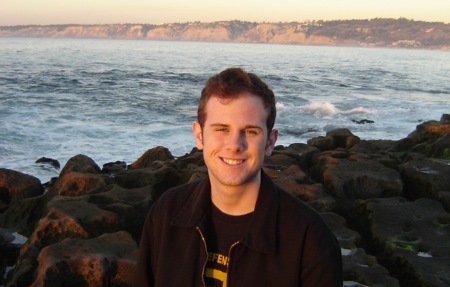 TightWind is written by Kyle Baxter. Stay Hungry. Stay Foolish. Henry David Thoreau published Walden in 1854, a study of his experiences living in the woods near Walden Pond for two years. Thoreau intended to see what was necessary to live, and what he only thought was. He built his cabin, grew his own food and surveyed the forest around him. In this solitude, removed from civilization and living by his own hand, he measured his capacities. The whole ground of human life seems to some to been have gone over by their predecessors, both the heights and the valleys, and all things to have been cared for. According to Evelyn, “the wise Solomon prescribed ordinances for the very distances of trees; …” Hippocrates has even left directions how we should cut our nails; that is, even with the ends of the fingers, neither shorter nor longer. Undoubtedly the very tedium and ennui which presume to have exhausted the variety and the joys of life are as old as Adam. But man’s capacities have never been measured; nor are we to judge of what he can do by any precedents, so little has been tried. The greater part of what my neighbor calls good I believe in my soul to be bad, and if I repent of anything, it is very likely to be my good behavior. What demon possessed me that I behaved so well? This is Walden in a few words. Life is not of rules obeyed, instructions followed, the traditions of those who came before respected. But many believe it to be; they see the typical as the only, and what has already been accomplished the limit. That a custom is done by the majority a certain way becomes its own validation, as it would not be a custom if it was not the best way. And so, heeding the wisdom of everyone else, who themselves follow this same rule, they go on without thought to the logic of this particular custom. No ground is untrod, untouched and undiscovered. It is of no coincidence that those who change things most significantly, whatever field they happen in, little respect the common thought. Rather than internalize what others and common wisdom tells them, they remove it from their minds entirely. Unencumbered by what everyone knows to be truth and to be possible, they create a new world for us all. John Locke, the English philosopher, dared write that God, and not the king, owned humanity. Where before the individual had always been a tool to someone, whether it is tribe, king or majority, Locke said that each individual is not owned by government or society, but distinct from everyone else, an end, not a means. Without Locke, the American revolution would not have happened, and if it did, it certainly would not have been a success. Locke, the Englishman and dead long before stones were cast in Boston, was the revolution’s greatest contributor. This brazen disrespect for what is commonly known to be true and for what is possible is, if there is any, the best definition of what it means to be American. Wealth, luxury and comfort are not our soul nor what we properly aim for. Finding our own path, our own “good” and our own truth about this world, success by our own doing — that is our soul. We do not find pride in our nation for our collective triumphs, but instead the triumphs of individuals. Their work is not our own, and simply because we share the same nationality with them does not mean we also share the glory. Rather, we take pride in their successes because it confirms what we know to be true: within each of us is the potential for greatness. There is an often overlooked distinction between the trappings of success, fine clothing and food, luxuries and leisure, and success itself. Wealth and comfort are not goals, something to be achieved. True success is known when we have found that feeling within us, that we receive after uncountable hours of work that simultaneously weakens and builds us anew. This feeling, deep inside us, tells us that what we have just done is a success — something which does not subtract from others to benefit us, but rather makes others’ lives better, if only because they are heartened by having seen someone’s exultation in achieving. Trappings, appropriately named, are only valuable insofar as they are seen by others. Value is had by their owner only through the eyes of others. Thoreau saw just how empty this was, and sought things that would be treasures to someone on their own, without an eye on them. That, if there is anything, is the true measure of success. A society constructed on this — where each individual seeks their own success, by their own definition — would truly be a great one. Rather than be envious of what others have and what others have done, and thus motivated to take from their lot so as to make ours larger absolutely and by comparison, we would be inspired to create our own triumphs. A society where people are more concerned with themselves and their improvement, rather than the affairs of others, would certainly be a more respectful and harmonious one. This was the American ideal. I fear that has changed, or is changing. Rather than to our own way, we are encouraged to follow a formula for someone else’s version of success, so we too can enjoy the comfort a stable and well-paying job guarantees, what someone else saw as their ultimate end. To live quietly, with nothing to do but relax. We read and listen and watch reports about the lives of our celebrities. Discovering who is dating who, or rather breaking up with who, what diets they are on, where they eat, and other wholly meaningless information about people whose fame is due to their being famous, ear-strainingly loud movies in astounding clarity with special effects that leave nothing to be imagined, and television shows that say nothing in particular — this is our entertainment. We complain when movies or music says something “political,” that is, says something, not because the statement is clumsily made or poorly thought out, but because we want to be entertained rather than forced to think. We want to be entertained by soothing our minds to nothingness through sound and visuals. This is the entertainment with which we have replaced books and stories and plays. This entertainment of the past, because of the inherent limitations of the medium, required active participation of the reader or audience. While reading a novel or watching a play, we must visualize the story ourselves, putting the author’s words in our own terms so we can understand them. The story and our own lives become intertwined, as our understanding of the story is inexorably connected to how we visualize and conceptualize it. We apply the author’s words to our own experiences and thoughts. The author’s story becomes our own story, and we inevitably learn some unseen insight about our own lives, ourselves, and the world. Good film can work the same way, just as a play does. Rather than deliver it all preconceived and laid out for mindless consumption, good film subtly suggests things to the viewer, for them to unlock and discover on their own. These are the films that, when we walk from the theatre, our minds are racing not because of the spectacular explosions and digital creations, but because through finding the unsaid in the film, we became a participant. The film’s story is our own story. Yet most films, a microcosm of all of our entertainment, is trash, making everything perfectly obvious, thought and imagination unnecessary. The demon’s form is not hinted at, to be created in the viewer’s own mind and thus as scary as they can imagine, but instead rendered in only the way the special effects artist conceived it; a critique of a particular ideology is transparently made, rather than slowly and methodically constructed through convincingly-real story and characters. But this is not the fault of film, nor special effects. We have caused it, because collectively, we are demanding things fully-formed, packaged and ready to be consumed. We do not want to be involved in it, or put in the work. We demand work, and place rules, on others. This is laid bare in what we call our political discourse. …this government never of itself furthered any enterprise, but by the alacrity with which it got out of its way. It does not keep the country free. It does not settle the West. It does not educate. The character inherent in the American people has done all that has been accomplished; and it would have done somewhat more, if the government had not sometimes got in its way. That is, government achieves nothing — people do. But politics is no longer a question of how government can best serve society, namely enforce the rights we are all endowed with, but a game to be won, victors receiving the loot of the taxpayers and bondholders. On election night last November, I watched the results in our dorm’s lounge. A group of students, who had just finished calling alumni for donations, watched with me and were quite happy with the results. After Obama’s victory was guaranteed, one said, “Maybe now that Obama is president he’ll give our school funding and we won’t have to do this.” This was said without the slightest sarcasm. I do not intend to imply that this is only an ailment of the left; it is not. The social right seeks other benefits through electoral victory — funding for religious groups and, more noxiously, enforcing their social standards on others through the law. This is a non-partisan disease. This is the inevitable result of the shift in our culture. When we want everything delivered to us pre-packaged, no thought required, we have accepted that everything that can be achieved, has been. There is no role for us to fill, because it has all been done before. And when it has all been done already, there is nothing left to do but consume, and try to take a little from others to make our lot bigger. Life is zero-sum if we are convinced that we have seen it all already. It is a temptation that we all must resist. It is re-assuring to be jaded about our possibilities, and critical of others for what they do. It is easy — all it requires is to point out everyone else’s faults, and we enlarge our self-worth through their faults. This is not motivated by a desire to improve the work of others, but because some are threatened by the productive creations of others. It threatens to dispel their most important belief: that there is nothing new to explore, nothing to make. Instead, we should, as Michelangelo said, criticize by creating. Rather than tell others why they are wrong, do whatever they did how you think it should be done. Do precisely what you want to do, not what others think you should, and through your work, show others what you think is the best way. Do not chastise, but live. Create. Live for yourself. By doing so — by creating things you would be proud of even if you were the only one who ever saw it, and living the same way — you can change the world. This what it means to be American. 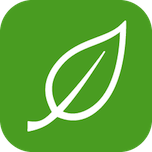 Basil is a smart recipe book for your iPad, created by me. Welcome to TightWind. If you liked what you read above, you can read more in the archives and subscribe to the new ones. If you'd like to introduce yourself, you can send me an email or a message on Twitter. Basil. My iPad app that makes cooking easier. Recommended Books. My list of must-read books.